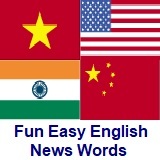 ﻿ Fun Easy English - new American English pronunciation Voice of America VOA news words phonetic spelling world places names introduction. Learn to correctly pronounce difficult world places and names in the news. Each country page shows the English spelling and the phonetic spelling of difficult to pronounce words in the news from that country. This is very important if you want to discuss the news and other issues with native English speakers. 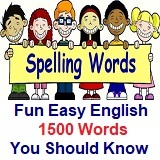 Special English consists of 1,500 essential words which anyone learning English should know. The pages also contain more news words. 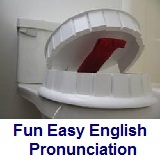 Learn how to pronounce the 44 sounds of English. These lessons are arranged in two sections, vowels sounds and consonant sounds. Each lesson has a video and audio practice for each sound.